Accessorise your adventures with the Polar Buff. Just like the Original Buff, but with a section of Polartec 100 fleece for extra winter warmth. This stretchy tube of fabric is so versatile you'll want to take it with you wherever you go. It can be worn in a multitude of ways; as a scarf, as a headband, as a beanie, to name just three. 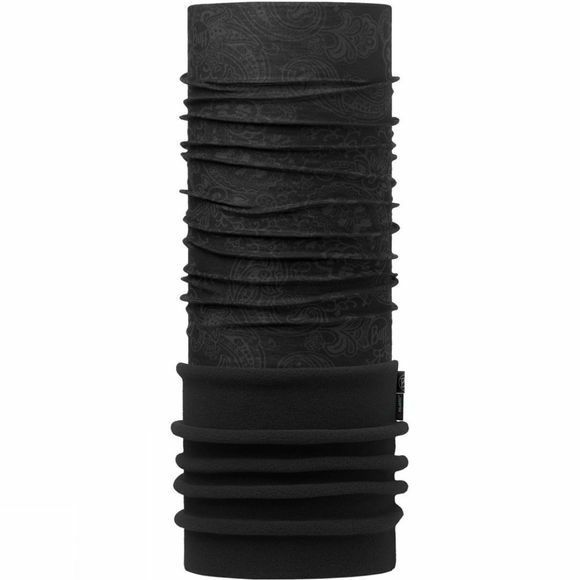 The cylindrical construction has minimal seams, making the Buff comfortable to wear however you choose to use it. In the cold, it will trap heat to keep you warm. In the heat, it will wick moisture to keep you cool. The Polygiene treatment added to the fabric is antibacterial, helping to prevent nasty odours and allowing you to wear the garment for longer between washes. Buff's come in a variety of different colours and distinctive designs. Plus they are a fantastic gift idea.